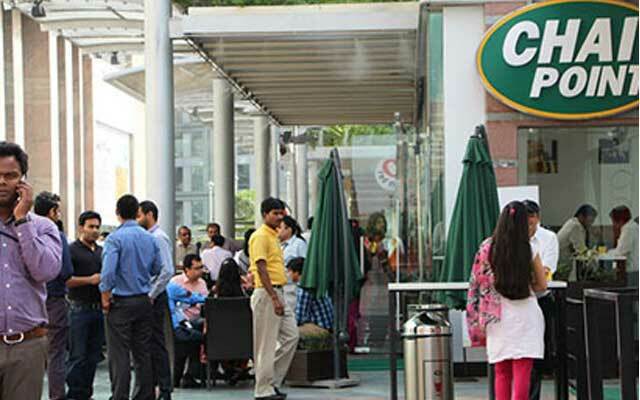 Bangalore-based Mountain Trail Foods Pvt Ltd, the company that runs and operates the Chai Point network of tea stores, has raised $10 million led by Fidelity's proprietary investment arm, Eight Roads Ventures (formerly Fidelity Growth Partners India). Existing investor Saama Capital and DSG Consumer Partners have also participated in this round, as per a press statement. Chai Point will use the money to enhance its delivery capabilities and expand geographically. Kabir Narang from Eight Roads has joined Chai Point's board of directors. Harvard-graduate Amuleek Singh Bijral founded Chai Point in April 2010. Chai Point would mainly compete with Chaayos, which is backed by Tiger Global, Toppr's Zishaan Hayath and Ola's Bhavish Aggarwal and Ankit Bhati, and the recently funded Tea Trails. DropKaffe, an online startup that delivers brewed coffee and refreshments within Bangalore, also secured angel funding last month. Eight Roads Ventures is an active growth stage investor with positions in over two-dozen companies, according to VCCEdge, the data research platform of VCCircle and Techcircle.in. However, it's only recently that Eight Road Ventures started focusing on India's consumer tech startups. Since January, it has put money in Credr, Bankbazaar, Mineraltree, Icertis, Toppr and other tech-enabled firms. Earlier this week, ShadowFax Technologies Pvt Ltd, a hyperlocal delivery services startup for restaurants and retailers, bagged $9 million (Rs 60 crore) in Series A funding from Eight Roads. Chai Point Mountain Trail Foods Pvt. Ltd.